Lindsay Scott is a very renowned name in project management community as she has been running her project management recruitment agency with the name Arras People for 15 years now, she is serving the community through arranging different events such as social meetups and PMO Mini-MasterClasses with the group named PMO Flashmob. It has always remained pretty challenging for hirers to recruit right talent and resource for such high position but Lindsay Scott has solved this problem by “Arras People” through delivering to their promise of providing best resources for 15 years now. She remains fully updated with happenings and changing realms of project management world. She has been best at her work because she loves what she does and has found special interest in programme and project management office area of project management. TaskQue: You have done BSC in Psychology how did you end up in the project management field? What inspired you to work in this field? Lindsay Scott: It was totally by accident – I think the same is true for a lot of people working in project management today – after finishing my degree I started working for Hewlett Packard in their project management department and never looked back. I worked as a Project Coordinator before becoming the Project Office Manager for the whole division – probably referred to as a Centre of Excellence or Enterprise PMO now. What I initially loved about the job was seeing how the combination of planning, control and people management are all wrapped up to perform ‘project management’. It was – and still is – the people side of projects that still interests me the most and I still keep up to date with how Psychology in business and people development is advancing. 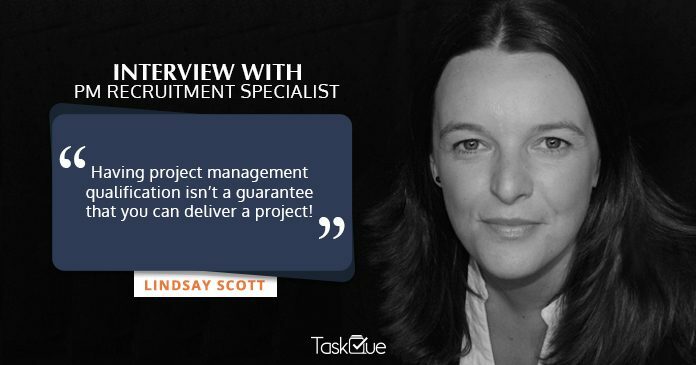 TaskQue: You started “Arras People” because of realizing the need that recruiters are finding it hard to catch up with the right talent in project management, how with a start of 3 members did you manage to gather a pool of such senior level resources? Lindsay Scott: Starting the business back in 2002 feels like a lifetime ago now – and the project industry itself was very different to how it is now. Back then organizations didn’t use qualifications as a requirement. For example, today it’s common to see “must have PRINCE2 or PMI PMP” on the job advertisement, back then it was done by trial and error as organization’s struggled to articulate that they were looking for. To be fair it is still a problem today because we know that having a qualification isn’t a guarantee that you can deliver a project! When we started out we knew we had just one guiding principle – “treat others as you would like to be treated”. Recruitment gets a bad name with dubious practices from unscrupulous operators. From our own experiences with recruitment agencies, we also knew that not many of them really understood the roles within project management – we did, we had been working in the field as practitioners for many years. Putting these two together and talking to many different types of project practitioners and different organizations, it soon became apparent that we had a good business that people really wanted and appreciated. So it’s all about treating people with respect, understanding what they really do for a living and helping organizations to really articulate what they want and how that translates to a wider marketplace. 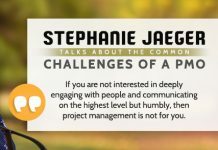 TaskQue: You co-edited a book “ People in Project Management” how did you find an experience of being part of writing a book? Lindsay Scott: That was such good fun – well over the space of three years it really was a great learning curve and a great honor to edit a book that was all about people – my favorite subject! I worked with the esteemed project management author Dennis Lock and over 40 different authors to bring 60 chapters together all about the different aspects of people in project management. 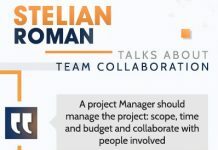 I’m glad it was one of the biggest books Gower Publishing had done on project management because I think it’s a fair reflection on just how important – and the most difficult to master – the people management side of projects is. I’m really proud of it and for a while it was a big project for me – finding so many project management experts, commissioning chapters, reading drafts, working through edits. It was a mammoth task but it’s so nice to hold a book in your hand with your name on. TaskQue: Most of the publications are a collaboration of different field experts, what do you find to be most beneficial part of publishing article which has contribution of many? Lindsay Scott: Without a doubt, it’s the opportunity to work with people who you admire and to ultimately read a unique piece of writing on a topic area that you have developed together. It’s a collaborative process with each author so having many to work with gives you some idea of how a book like this takes three years to produce from initial conception through to the finished product. TaskQue: You have been PMO conference organizer how do you find this experience to be? Lindsay Scott: The PMO Conference started in 2015 and is the outcome to working in PMO community groups for over 15 years previous to that. 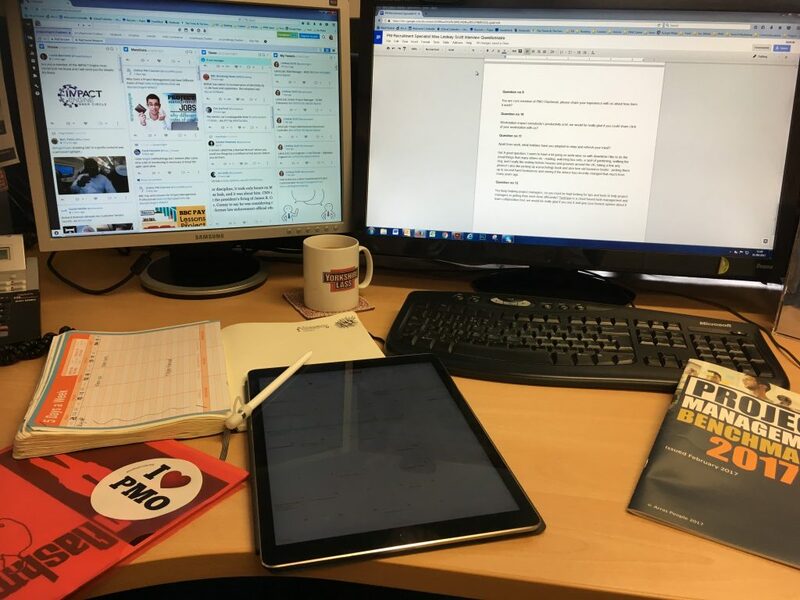 I love organizing it, in fact, it’s very similar to editing the book, I get to speak to lots of different experts and practitioners whilst putting together the annual programme. The world of PMO is very different to project management, in my opinion. With PMO there are many different angles and themes to work with. It’s not limited to project management practices – it also includes programme management; portfolio management; business strategy; finance, HR and so on. That’s what makes setting up the programme for the conference so interesting plus we can bring people into speak from different parts of the world too. 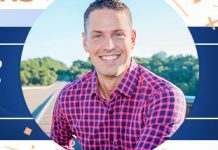 My aim with the PMO Conference is to bring fresh perspectives that inspire PMO practitioners to think differently about their PMO and their own approach to their work. In terms of running something like this, I’ve been lucky enough to have some great PMO friends from over the last 15 years of carrying out similar activities like this. We work really well as a team – perhaps not surprising from a bunch of people who work in PMO for a living! TaskQue: How do you find your experience of running PMO Flashmob group and attending its events yourself? Lindsay Scott: PMO Flashmob has been around since 2014 and initially it was all about getting PMO practitioners together in an informal setting and helping them to network and get to know each other better in London. We picked a name which was deliberately non-corporate, we wanted something different and a little bit quirky – something that would catch PMO people’s eye and get them to try it out. We now have two different types of events – a social one which is all about meeting people and networking – this tends to be in a local hostelry. We also do quizzes and karaoke too! The other event is called a PMO Mini-Masterclass and that is more about informal learning. We have lectures, seminars, workshop, that kind of thing. We choose topics that are of current interest to people, recent ones include Agile PMO, Lessons Learnt Not Recorded; Benefits Management and Programme Management. PMO Flashmobs wherever people want us! TaskQue: Workstation impact everybody’s productivity a lot, we would be really glad if you could share click of your workstation with us? TaskQue: Apart from work, what hobbies have you adopted to relax and refresh your mind? Lindsay Scott: Ha! A good question, I seem to have a lot going on work-wise so with downtime I like to do the usual things that many others do – reading, watching box sets, a spot of gardening, walking the dog, and I really like visiting historic houses and grounds around the UK, taking a few arty photos! I also like picking up a psychology book and also love old business books – picking them up in second-hand bookstores and seeing if the advice has recently changed that much from many years ago. Previous articleHow to Scale Agile Methodology To Fit Large Scale Enterprises?